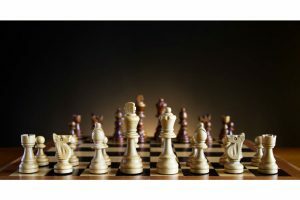 Chess is one of the most popular board games in the world, and it’s also among the most engrossing. Of course, a large part of the enjoyment of the game is derived from the quality of the chess board and pieces. When you have the best chess set that suits your needs and preferences, it’s just as satisfying as declaring checkmate in three moves. Some people are a lot more serious about chess, and so they may wish to conform to Chess Federation rules. Others are more art collectors than chess players, so they may wish for ornately carved pieces made of expensive materials like ivory. 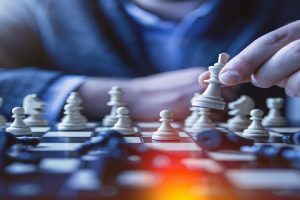 If you’re just a regular player who plays chess frequently yet casually, then you need to consider more practical factors. 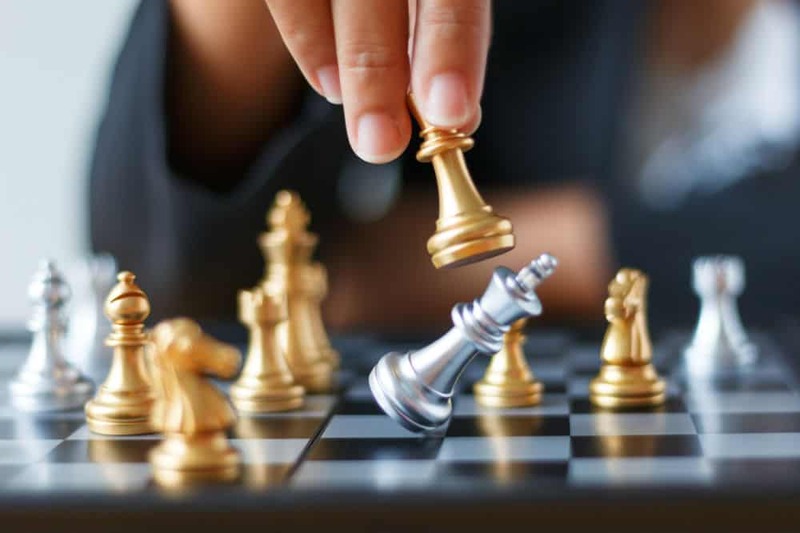 Here are some tips to keep in mind when you’re ready to buy a chess set. 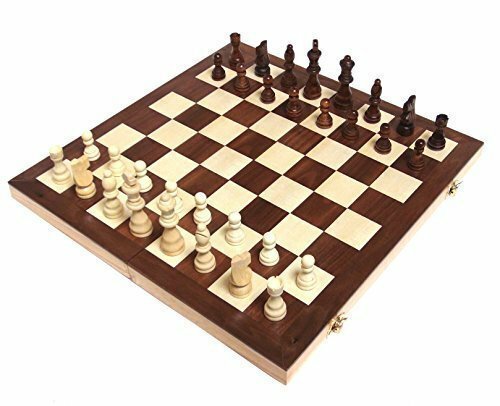 Get a chess set that’s not too expensive but not too cheap. 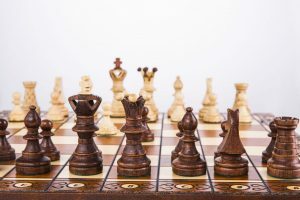 Chess is just a game you can enjoy playing with friends, but you may not want to use a chess set if it’s too expensive. You’ll be too worried about dropping or breaking a piece to enjoy a game. Consider the look of the board and the pieces. The pieces should be distinct from each other so that you don’t have to waste any of your mental faculties trying to differentiate the various pieces. Also, it’s much more satisfying to play with a wooden board and wooden pieces because they’re more aesthetically pleasing. That’s why many casual players don’t go for the vinyl roll up They may be cheap, but they’re not exactly great to look at. Can you bring this to a friend’s house easily? Often you may want to bring a chess set to a gathering with friends, so portability is an issue. That’s why a wooden board that doesn’t fold isn’t exactly useful for most people, as it’s not easy to bring along. With a folding wooden chess board, you minimize the bulk, and you also have the space to hold pieces inside the board. They should come in the right size. 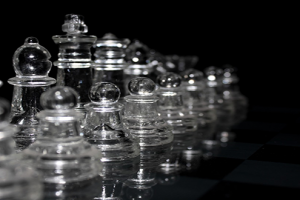 If you’re a casual player, you don’t have to conform to strict Chess Federation Guidelines. But your board shouldn’t be so small that pieces topple over every time you make a move. Pick chess pieces with ample weight. This makes them less likely to topple over when your fingers brush against them. However, if you do manage to get lightweight pieces because you like the look, you can always glue washers to the base of the pieces and then cover them up with felt. Just because you don’t want plastic chessmen and a vinyl board doesn’t mean you have to break the bank. 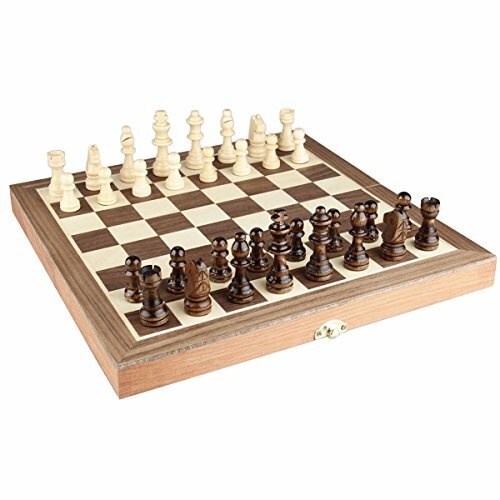 This is a very affordable chess set that offers a lot of value for your money. It also has features that make it a nice set for travel. The pieces have been handcrafted in the standard Staunton design. The king measures three inches tall. The chess board with inlaid walnut measures 15 inches on each side, with squares measuring 1⅝ inches. The interior of the board is covered with felt, and the pieces can be strapped into place. The hinges of the board lie flat so that there aren’t any protruding pieces that could scratch your coffee table. It comes with a chess guide for beginners. The chess pieces are just the right size, for both experienced players and children alike. They’re easy to handle. It’s also great that the chess pieces are easy enough to distinguish from each other with the traditional Staunton design. The size of the board seems optimal as well. It’s not so large that you’ll find it cumbersome to bring with you but not so small that you can’t tell the pieces apart or move them easily. The overall look is especially pleasing. It’s neat and functional, and the wood has variations that make it uniquely interesting. It’s great that it has features that protect the pieces when you travel (or even just when you move it from room to room). The felt keeps the pieces from rubbing against the chess board wood. The straps also keep the pieces from bumping into each other when you’re bringing the set with you to the park or to a friend’s house. Also, the hinges won’t scratch the table of your friend when you lay the board on the table to play a game. Handcrafted pieces can look great, but a few boards may need a touch of sanding to smooth the rough spots. A few people may feel that the pieces are a bit too light. It’s time to stick washers to the base of the pieces. You’ll be hard-pressed to find better wooden chess sets at this price range. It looks great, and the size is just right. The straps work well, too. Bring this with you for your games and you won’t be disappointed. If you want something a bit smaller for younger children, then this may suit your needs. It also may be a good choice for people who travel a lot, as it isn’t all that bulky. 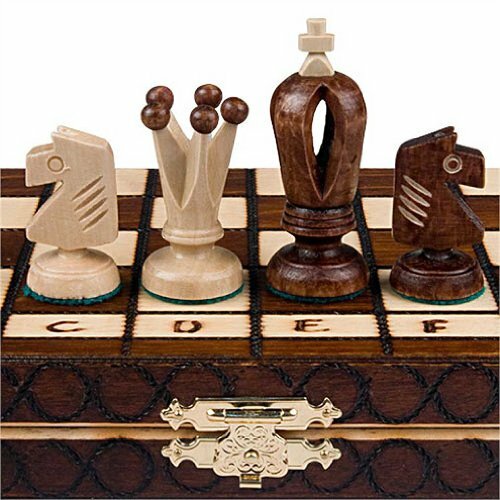 This features easily recognizable chess pieces fashioned in the traditional Staunton design. The king stands about 2¼ inches tall. The chess squares measure about 1¼ inches across. Inside the folding chess board storage space, there’s a specially designed slot for each chess piece. The chess pieces also have magnets that stick to the board. The chess board is made of kembat, which is quite smooth. The bottom of each chess piece is also extremely smooth. The size of the pieces and boards is optimal; there is plenty of room to easily make moves. The magnet feature is quite nifty, as it can keep the pieces upright even you brush against them with your fingers as you move. The pieces also stay upright even when the table is moved or bumped slightly. 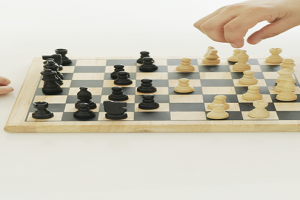 You don’t have to worry about toppling pieces when you adjust the chess board on the table. The smooth bottom of the chess pieces prevents any irritating sounds when you move a piece. They also won’t scratch the surface of the chess board. The special slots inside the folded board storage space keep the pieces in place. The board doesn’t rattle when you carry it, and you keep the pieces from getting damaged because they don’t move around or bump into each other. The size makes it very portable, but it’s not too small at all. It’s also ideal for younger kids. Just because it has magnets doesn’t mean you can easily play with this in a moving vehicle. Some people may prefer a larger size. 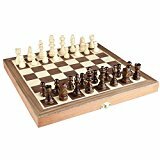 This is really a great starter chess set for young beginners, though it also works well as a travel set. It does offer a nice-looking board with great features such as slots and magnets. All in all, it’s a handy chess board for casual players. Looking to play at home with friends or at a café with a nice cappuccino? You may want to bring this along with you, as it looks very impressive for kibitzers and players to gaze at. You can also just give this as a gift, and the recipient may think that you spent a lot more money for it than you actually did. This comes with a folding chess board that measures 15.7 inches across. The king measures around three inches in height. There aren’t any metal clasps here. Instead, it uses magnets to keep the board closed. Inside, the container has felt lining, and the pieces are also secured with a strap. The wooden board comes with a nice light gloss. The pieces are crafted in the Staunton design, but they all have special touches. They also have felt bottoms. The look of the pieces is quite interesting. 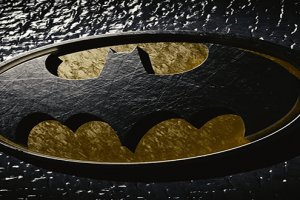 The pieces are all handcrafted, so none of them look exactly alike. With a magnetic closure, there aren’t any hinges that can mar the table when you flip the board over to return the pieces inside the board. The pieces inside the board stay in place when you travel because of the straps. This keeps them from making too much noise, and they don’t bump into each other, which could lead to damage. The board and the pieces look finished, and there aren’t any rough spots that the makers forgot to sand smooth. The size isn’t too big for travel, but it’s large enough that you can really see what’s going on in the game. Despite what some sellers may say, the chess pieces are not magnetized. The weight of the pieces may be a bit on the light side, so you may have to employ the trick with the washers. Just attach a washer to each piece and then cover it with felt, and you have a truly nice chess set. This will be easy to play, easy to carry, and easy on the eyes. What’s more, it’s easy on the wallet, too. It’s a great set that casual players can admire. If you’re getting tired of all the basic Staunton designs but don’t want anything too weird, then you may want to look at this Wegiel set. This is also designed as a travel set, as you may have surmised from its size. The chess board measures 11.81 inches across, with squares measuring 1.18 inches on each side. The king is about 2.6 inches tall. 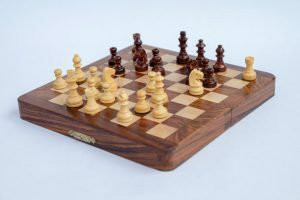 The chess pieces come with the Staunton details that distinguish each piece, but this particular variation is unique and interesting. 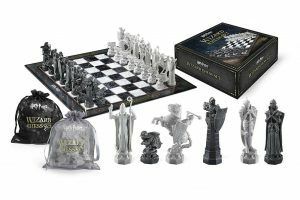 It really has a very different look than conventional chess sets. Also, like many Wegiel sets, the top parts of the king and queen pieces come with contrasting colors. So the white king has a dark cross, while the black queen has white tops for the crown. Each piece is handcrafted, which gives the set a unique touch. The handcrafting gives each piece nice details as well. The wood board is made of birch while the pieces are carved from solid hornbeam and sycamore wood. There’s also felt at the bottom of each piece. On the sides of the boards, you have the letters and numbers to help with algebraic notation for moves. This is a gorgeous chess set, and the pieces can qualify as art. They’re unique and quite remarkable. You may even want to just display it if you’re only using it at home. The wood comes from a farm, so it uses sustainable materials. The size isn’t all that small, and you can still play with it. However, this size is geared more toward travel. This works well for newbies because of the algebraic notation markers on the sides. Beginners can note their moves more easily. You have to be very careful when you place the pieces inside the storage space. You have to make sure that no piece is lying on top of another. That can cause damage when you close the folding chess board. This can satisfy many types of chess board users. It’s small enough for easy portability. The algebraic notation markers help beginners learn how to note moves. Those who are bored with basic Staunton designs will also appreciate the artistic look of the chess pieces. 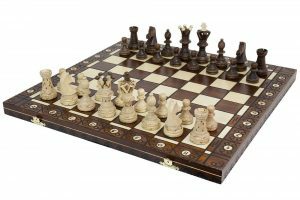 When you’re in need of larger chess boards, you need the Ambassador class of chess sets. This one from Wegiel certainly qualifies, and the company provides a great look for the chess pieces. This board measures 21.65 inches on each side, with the squares measuring 2.24 inches per side. Around the board you have letters and numbers that help newbies with the algebraic notation for moves. The pieces are also suitably large, with the king measuring 4.5 inches in height. The board and the pieces were all handcrafted in Poland. Beech and birch wood were used for the board, while the pieces were made from sycamore and hornbeam wood. 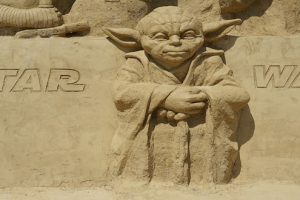 These pieces all display incredible detail. The board is large, so you can really see the pieces and tell what’s going on in the game. You can also move the pieces without having to bump other ones each time. This is a gorgeous chess set, and the contrast with the board colors makes it easy on the eyes. The kings and queens also have contrasting tops. Since there are letter and number markings on the sides of the board, newbies can learn algebraic notation form moves more easily. Inside the board, you have indented slots form-fitted for each chess piece. The inside of the board is also lined with felt. The weight may be lighter than the standard triple weighted set, but you can play with this and move pieces quickly without knocking other pieces over. This still won’t qualify for tournament play. Of course, why would you use this at such an event? For those who wish for a greater weight at the base, the washer solution awaits. Many casual players will love this, as the great size looks impressive and the game play is easy when you look over the board and move pieces. The chess pieces are also simply beautiful. 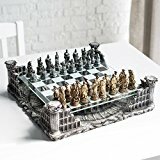 Most people would consider this the perfect chess set for this price range, if only it had extra queen pieces! 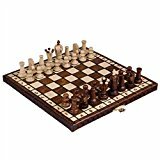 Each of these chess sets will do, and you may of course opt for smaller ones if you want to buy a chess set for children or for travel. But with all factors considered, you should really do yourself a favor and buy the Wegiel Ambassador set. The large size doesn’t really make it difficult to transport. It helps that the pieces come with their own form-fitting slots so that they don’t bump each other. Furthermore, the size makes it really easy to play the game. You’re better able to look at the overall position and discern your next move, and it’s a true pleasure to gaze at the board and the pieces. The weight of the chess pieces may be a bit light for some, but there’s a handy solution for that. For most people, the weight is enough that the pieces don’t topple frequently even in fast-moving blitz play. 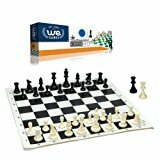 Overall, it’s a great chess set that you can play in cafes, parks, or your own home. At this price range, the Wegiel Ambassador is definitely a steal.